The Eminence Legend 1218 12" Guitar Speaker delivers warm, smooth and fat American tone with a hint of smooth British break-up. Its coloration favors country, blues and jazz.Eminence recommends the Legend 121 as a direct replacement in the Fender Twin combo Amp. The Eminence Legend 1218 12" Guitar Speaker delivers warm, smooth and fat American tone with a hint of smooth British break-up. Its coloration favors country, blues and jazz. Eminence recommends the Legend 121 as a direct replacement in the Fender Twin combo Amp. Compliance Equivalent Volume (Vas): 31.2 liters / 1.1 cu. ft. Please consult www.eminence.com for specifications of models with alternative impedances. **     Multiple units exceed published rating evaluated under EIA 426A noise source and test standard while in a free-air, non-temperature controlled environment. ***     The average output across the usable frequency range when applying 1W/1M into the nominal impedance. Ie: 2.83V/8ohms, 4V/16ohms. Eminence response curves are measured under the following conditions: All speakers are tested at 1w/1m using a variety of test set-ups for the appropriate impedance | LMS using 0.25" supplied microphone (software calibrated) mounted 1m from wall/baffle | 2ft. X 2ft. baffle is built into the wall with the speaker mounted flush against a steel ring for minimum diffraction | Hafler P1500 Trans-Nova amplifier | 2700 cu.ft. chamber with fiberglass on all six surfaces (three with custom-made wedges). ****     BETA 8CX, 10CX, 12CX and ACOUSTINATOR„¢ CX2008 are coaxial speakers with tweeter sold separately. Published Usable Frequency response contingent upon use of APT 50 HF Driver. 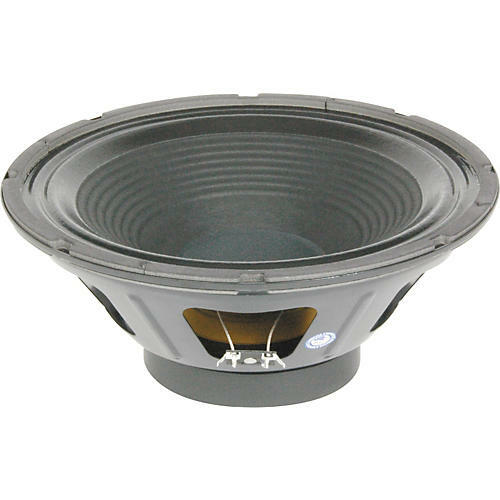 7 year parts and labor warranty against defects on all speakers sold under Eminence name.